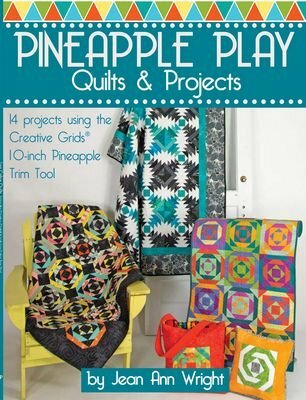 Get ready to make this super fun and relaxing pineapple block. No cutting precision required with this sew and trim method! Attendance of the cutting portion of this class is optional. If you prefer to do your cutting at home, you may show up at 1:30 for the assembly part of the class with ALL of your fabrics cut AND labeled. General supplies: Machine, scissors, thread, bobbins, bobbin thread, extra needles, snips, marking pen, pins etc. Additional requirements, as needed, will be identified in each class descriptions.